I hope 2013 is off to a great start for each and every one of you! Today I am dropping by not to share my New Years Resolutions, but the goals that I have set for myself for 2013. New Years Resolutions are typically broken, however, goals are something that you can work towards and improve throughout the year. I've always went to church every Sunday and I've attempted to read my Bible daily, but this year I want to spend more time in prayer, reading the Bible, and doing a daily devotional. This past semester I struggled with being sick all the time. My sickness took a toll on myself, my relationships, and my school work. I finally decided that it was my bodies way of telling me I needed to be taking better care of myself. This year, I am going to eat healthy daily and exercise at least 3 days a week. After all, 1 Corinthians 6:19 - 20 says "Do you not know that your bodies are temples of the Holy Spirit, who is in you, whom you have received from God? You are not your own; you were bought at a price. Therefore honor God with your bodies." This is a goal I'm implementing for both Cody and I. We've both been taking a closer look at our finances and realized that we are spending way to much money on eating out and other random purchases. This year we are going to set a budget, stick to it, and put what we save into savings for the future. I mentioned here that I have a $1,750 student loan from the previous college I attended. I'm technically not suppose to pay it back until after I graduate, however, throughout the year I know I can gather the money to pay it off this year. My goal is to have my student loan payed off as well as have a $0 balance on my credit card as well as Cody's credit cards by the end of the year. I am currently working on an Easter math and literacy unit, but I've run into a few obstacles. Like many teachers, I am not yet familiar with the new Common Core Standards. I've written many lesson plans this past semester, but my teachers have asked us to use GPS (Georgia Performance Standards) for our lessons, therefore, I haven't had much practice with Common Core. Another obstacle I've faced is the lack of curriculum or a pacing guide to use as a guide to create these units. I'm not yet a teacher so I'm unsure of what the pacing is in kindergarten for certain skills that are present in Common Core standards. If you have any comments or suggestions for me I would love to hear them! I will be beginning my student teaching in August and I couldn't be more excited! Have any of you noticed that I'm here and there in my blogging? You may read a post from me at 8:00 in the morning or you may read one at 11:00 at night. The truth is that I blog everywhere! If I find myself waiting on Cody to get out of class, waiting on my next class to begin, or whenever I have a spare minute I blog. I want to be better about blogging on a schedule instead of on a whim in 2013! I want my blog to focus on quality instead of quantity in 2013! I began scrapbooking over the summer as a way to hold on to the memories of the different places Cody and I visited and I've fallen terribly behind. This year I am going to edit all of my picture, have them printed, and complete my scrapbook. I tend to stress and worry about everything no matter how big or small. I've stressed and worried to the point that it was affecting my health. In 2013, I'm going to take the words of the LORD in Psalm 62: 5 - 8 "Yes, my soul, find rest in God; my hope comes from Him. Truly He is my rock and my salvation; He is my fortress, I will not be shaken. My salvation and my honor depend on God; He is my mighty rock, my refuge. Trust in Him at all times, you people; pour out your hearts to Him, for God is our refuge." Great resolutions! I'm so jealous that you only have a $1,750 loan! I have more like $17,500 each year! I wrote about a great CCSS resource called Read Tennessee on my blog today. You should check it out! I can't wait to start student teaching too! I start in May and then am off for the summer and fully student teach for the fall semester. I am very excited to hear about your journey as well! 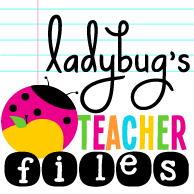 I want to start TPT but I am having trouble keeping up with just making freebies each week! I think that I will probably wait until I am finished with student teaching to open up a store. Oooh... have you ever looked up the definition of refuge? If not I highly recommend it! Brings so much more meaning to the verse! Pretty sure catch up on scrapbooking is always on my list. :) Sadly I haven't done it in forever because I am busy with photography and sewing and crocheting. My daughter is in Kindergarten and I have become great friends with her teacher. I will pass on your question and see if she would be interested in giving you some pointers on that. Hooray for debt free! I was debt free for over four year and then we bought our house. I'm working on becoming debt free again! You can do it!!! I have not looked up the definition of refuge, but I will definitely be doing it as soon as I finish up here! I wish you the best of luck with becoming debt free again. :) Just keep your eye on the prize and I know you can do it! Thank you! I agree, the budgeting is hard, but I try to budget for those little things that come up as well. Thanks for stopping by! Hurray for being debt free! My husband worked like a maniac to pay off his student loans within the first year of graduating, and it was so worth it afterwards, to not constantly have to worry about paying the loans every month and accumulating interest. I hope you have an excellent year!! And scheduling blog posts ahead of time is so awesome and convenient--I've been doing it ever since I figured out that you could! That's awesome that your husband payed off his student loans so fast. I hope you are having a great 2013! Thanks for stopping by! Those sounds like great goals! I like the blog with a purpose one! Thanks for linking up and I can't read more of your blog! xo! Thanks Lauren and thanks for stopping by! I hope you enjoy! Thank you Mandy! Thanks for stopping by! great goals! debt free is the way to be. we are almost debt free (besides our mortgage) i took out student loans... soon they will be gone!! hope you have wonderful 2013 so far!! i think you have a lovey blog, my goals are: to find new blog i'll love to read, to blog more regular,.. Thank you very much Audrey! I hope you are having a wonderful 2013 as well. I'm so glad to have you following along! Thanks for stopping by!